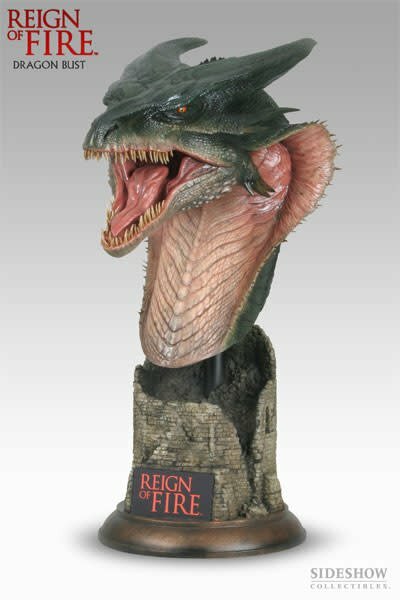 The Reign of Fire Dragon Bust Maquette stands 2 feet tall atop a detailed display base inspired by the ruined castle used as a last line of defense by the hero characters in the film. 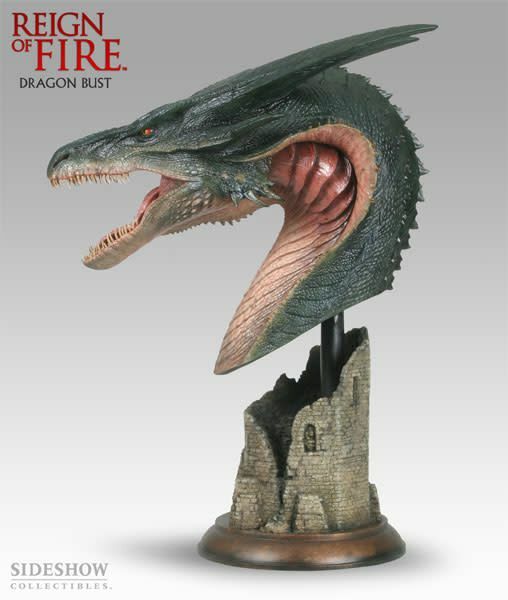 The bust is cast in fiberglass and polystone, while the spines and teeth are cast in durable ABS plastic to avoid breakage. 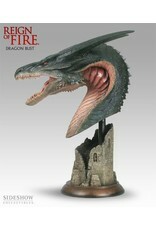 Each piece is hand finished and hand painted to exacting standards. This bust is sure to be the crown jewel of any dragon, fantasy, or film enthusiast's collection. This Item does not have the original box.